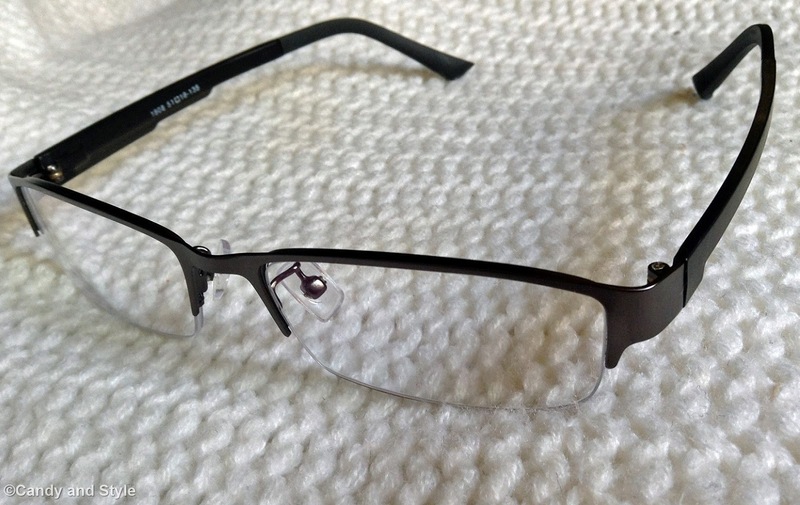 My partnership with Firmoo continues: I was given a new pair of eyewear with the purpose to review it on the blog and I picked a simple rectangle frame, as I was looking for something plain and sleek. My experience with them has totally been positive also this time: placed the order on the site (that is very easy and intuitive, plus the customer service is always helpful and willing to solve any problems, as usual), the parcel arrived in just one week, thing that surprised me so much, being under the Christmas time. The glasses are very good, light and perfectly match the prescription. In addition to them, the package includes a nice case and pouch, a cleaning cloth and a tiny screwdriver with the spare screws. I'm pleased and I highly recommend the site; no wonder since you already know I use their glasses everyday from 2 years now (see my othere frames here, here, here and here - I also have their prescription sunglasses that I used a lot last summer), and my opinion is based on my real experience. 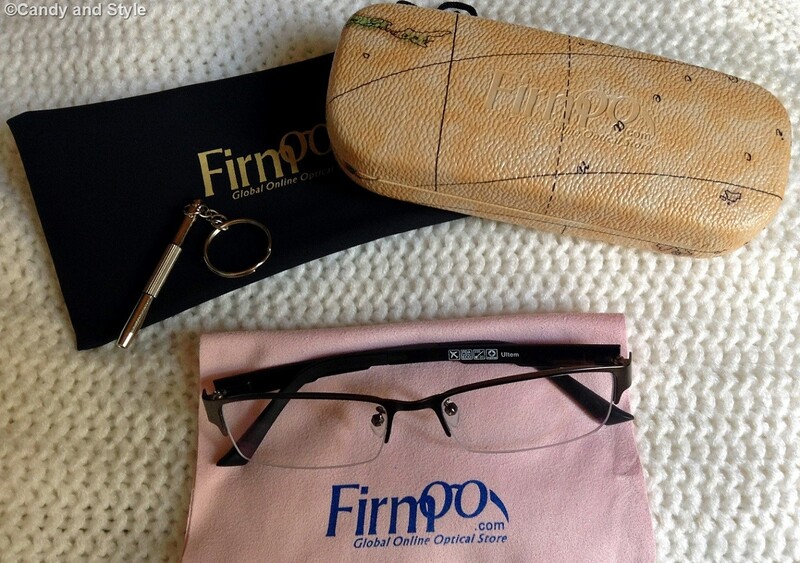 If you love Firmoo or curious to try their products, they still have the First Pair Free Program that allows to get free the first pair of glasses, for new customers only. Let me show you my outfit of the day now, hope you like it. Wish you a joyful and merry holiday season, have fun and stay safe! Lilli ti stanno benissimo questi occhiali.Riescono a non nascondere i tuoi occhioni belli! Ciao Lilli. Hai scelto una montatura semplice che ti dona. Molto carino anche l'outfit che indossi. Un bacio e buona settimana. Per gli auguri ci "risentiamo" attraverso i social!! sai che ti donano molto tesoro? ti stanno benissimo questi occhiali, molto belli! You described with sensitivity the emotional mood of Christmas holidays...and you have a point! I hope you'll have a magical Christmas with joy and soul peace! Quanto ti stanno bene Lili, sembri una di quelle donne in carriera impeccabili e sempre elegantissime!!! Bellissimo il tuo cappottino e questi occhiali ti stanno benissimo, mi piaci in versipne nerd! We have the same coat from Mango, dear. I love it! You look amazing, dear Lilli!!!! So classy! I love your glasses, Lilli! I really like your Fimo glasses!! I adore your Mango Jacket !! Like the view of your taratsa! Wishing you Merry Christmas with joy and Happiness! che bel look raffinato, mi piace molto!! il giaccone e' bellissimo e anche gli occhiali , bravissima!! Dear Lilli, you look pretty with these glasses. I prefer simple frames too, so they matched with the most of my wardrobe and make-up. I read a lot about Firmo and the quality must be good. Everybody is raving about Firmo glasses. I can see the ocean in the back, I envy you for this look. Semplici ed essenziali, ma molto carini! Adoro gli occhiali Firmoo! A te stanno benissimo! Glad you have had great experience with Firmoo. Due to my blindness, I prefer to wear contact lenses, glasses only half an hour before bed.. :) I love your leggings, Lilli! You totally had me drooling over those. I love them. Happy Holidays, Lilli! These glasses look really good on you! It's not always easy to find the right model to match one's face but perfect choice in this case! These glasses are very stylish and suits you perfectly! Gorgeous jacket and you look perfect! bellissimi i tuoi nuovi occhiali Firmoo, adoro!!! e ti stanno anche super bene!!! Ti stanno benissimo questi occhiali Lilli, la montatura semplice ti dona molto! Belle le foto scattate su questa terrazza e adoro il cappotto che indossi, dev'essere molto caldo! Adoro questi occhiali, stai bellissima Lilli! Un bacione. Anche a me il Natale fa tornare indietro con il tempo e mi fa sognare..adoro! Bellissimi questi occhiali Lilli, son contenta dell'esperienza positiva della tua collaborazione con il brand ! I like your choice Lilli. I like the shape and colour. Well done. Lilli, those glasses look superb on you! You wear glasses really well. Love your jacket and your hair is absolutely gorgeous. Love the new glasses Lilli!!! Hi lilli, thats a nice pair you got out there. Love the whole styling too. Hope u are having a fab week !! Happy holidays <3..
cara Lilli, gli occhiali ti stanno benissimo, molto eleganti e chic ma il cappotto! Mamma mia come mi piace il vappottino! :) Ha quel magico touch mashille e tu sai quanto a me piaciono i vestiti di questo tipo! :) Bellissime anche le foto, cara mia! Buon Natale a te e alla tua famiglia cara! bellissimi gli occhiali...mi piace molto anche questo look...molto chic! Merry Christmas to you too darling and a happy New Year also! Ciao cara, questi occhiali sono bellissimi perché si notano senza essere eccessivi e lasciando gli occhi protagonisti... ti stanno benissimo! Io adoro Firmoo... stai benissimo cara. Loving your stylish layered look Lilli - am also a satisfied Firmoo user!! Wishing you already a Merry Christmas!! I sincerely wish you the best xmas ever my seweet, talented, kind, inspiring and beautiful friend. you deserve the very best and if I could I would give you all that you desire!!! may you and your family have a peaceful loving Xmas eve! as for this super cozy and polished outfit it's naturally gorgeous and you've syled it perfectly. love the photos so much. you look great with glasses. 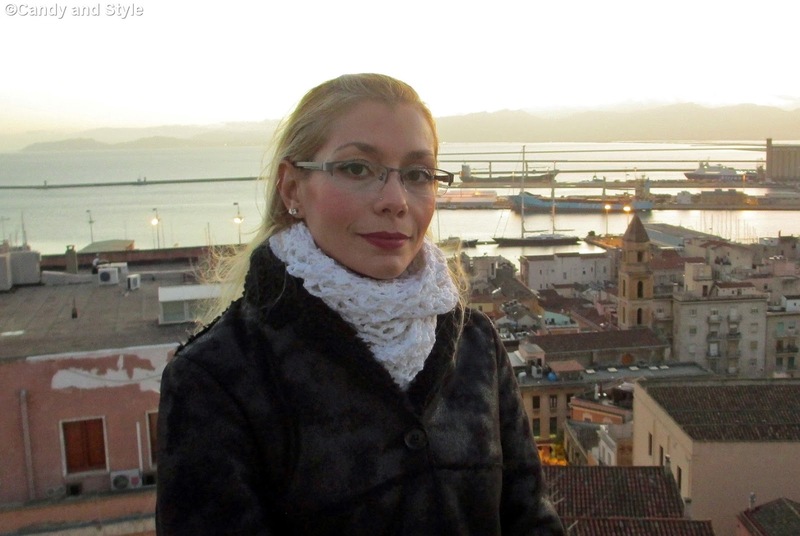 bellissima la giacca Lilli. e che bella montatura! Gorgeous look my dar and great glasses! These new glasses really suit you and I like everything about them - so stylish! You look very cosy there too. I hope you and your family have the most wonderful Christmas and a happy and healthy 2015. I wanted to thank you too for always visiting my blog and leaving me so many wonderful comments. I always look forward to hearing from you. Have fun!